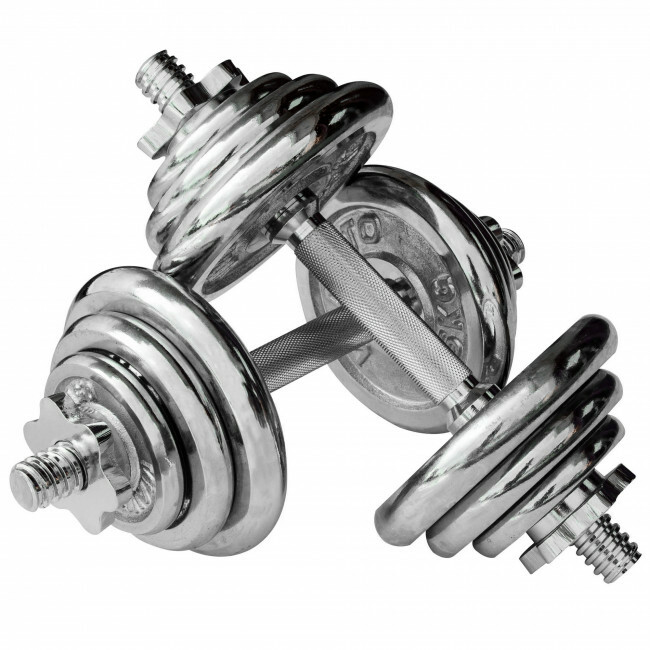 The 20kg chrome dumbbell set is a great fitness tool that will become an important part of your routine focussing on strengthening and toning your upper body. The set allows you to make two dumbbells weighing up to 10kg (22.4lbs) each, and they will certainly look the part in all home gyms thanks to their stylish sleek chrome design with our embossed logo and their weight in kilos on the plates. 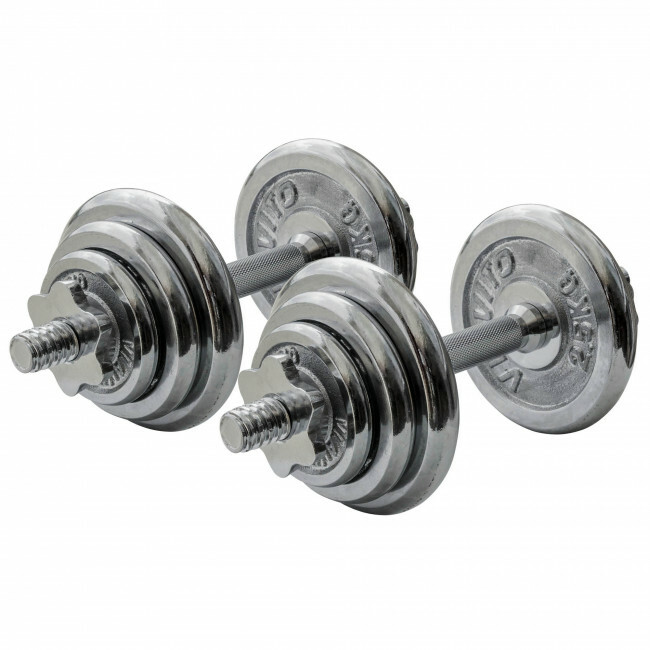 For targeting upper body muscle groups such as your chest, biceps, triceps, arms and back this set will be ideal, and they are tough, durable and have knurled handles so you can use them in confidence and with solid grip knowing they will withstand intense sessions. 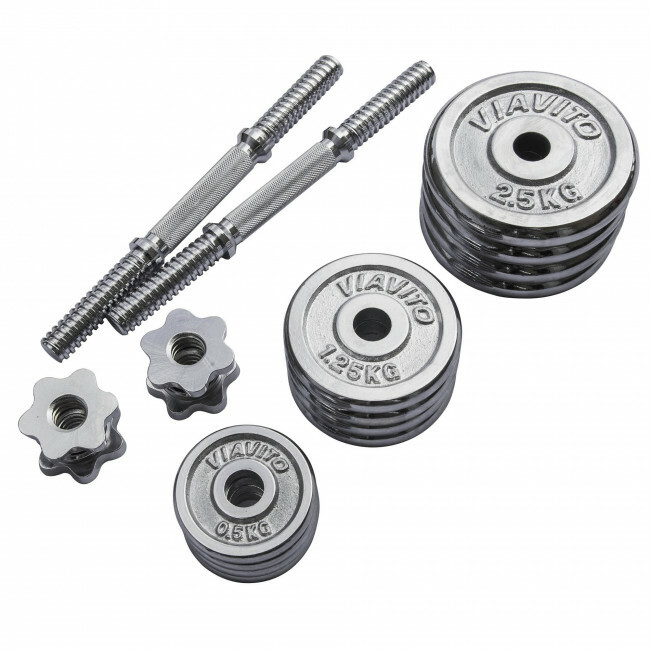 In the set you will find 2 chrome plated bars, 4 spinlock collars and 12 weight plates.